The Italian Book Club: mixed abilities welcomed. 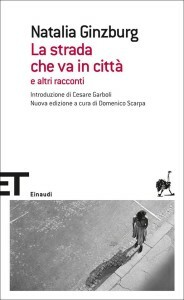 Our second book is La strada che va in città by Natalia Ginsburg, Wednesday 15 March at Calabrisella, Cowbridge Road, Cardiff. Come along!! This entry was posted in Events, News and tagged bookclub, books. Bookmark the permalink.